The test results show that Cellular Vehicle-to-everything (C-V2X) direct communications technology, consistently outperforms 802.11p/DSRC. 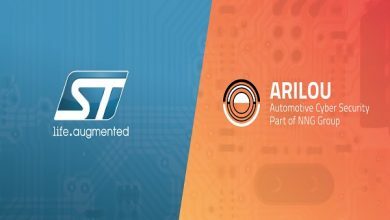 As the industry moves towards 5G and regulators worldwide are looking into future rules for connected cars technologies, the 5G Automotive Association has conducted tests to compare the performance of 802.11p/DSRC (known in Europe as ITS-G5) and Cellular V2X PC5 radio technologies in delivering V2V (Vehicle-To-Vehicle) safety messages. These performance advantages are particularly important in the most difficult environments such as non-line-of-sight scenarios (e.g., around a corner, highway queue forming etc. ), where resident onboard sensors and radars have certain limitations. Reliable and timely radio performance is a crucial requirement that all those with a stake in transport safety depend on to deliver critical safety applications. Such test procedures are a prerequisite to comparing the available radio technologies, and the results are very clear: C-V2X direct communications (PC5) performs better. C-V2X combines on a single technology platform a direct short-range mode operating over ITS spectrum (not requiring any network coverage or subscription) and a long-range mode using traditional cellular networks operating over the mobile network operator licensed spectrum. 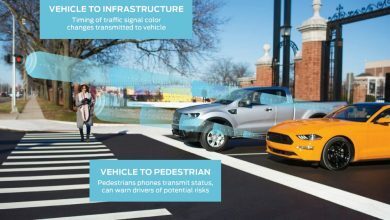 C-V2X is commercially available and reuses the decades’ long investment into protocols and upper layer applications to improve safety, deliver traffic efficiency, and support automated driving. The design and execution of each experiment were set up to ensure that environmental conditions, radio frequency parameters, system integration details, and physical structures were consistent when comparing 802.11p/DSRC and C-V2X direct communications. 5GAA brings together the automotive and ICT industry leaders from all world regions among which carmakers, Tier-1 suppliers, mobile network operators, chipset manufacturers, test equipment vendors, telecom suppliers, and traffic signal suppliers in order to continue C-V2X field tests and to accelerate in-vehicle and infrastructure commercial deployments, foreseen beginning in 2019 globally.